PlayStation 4 users can experience the excitement of Realm Royale by signing up for next week's closed beta. The closed beta for Realm Royale on PlayStation 4 is set to begin next week. For players looking to test out Realm Royale on PS4, you can now sign up to participate in the closed beta. Hi-Rez will send out 5 access codes at random on day 1 of closed beta testing, and will continue to send out invitations to the PS4 closed beta over the following weeks. Looking to test out Realm Royale on PlayStation 4? Here’s a quick look at how you can sign up for the closed beta of Realm Royale on PS4! Visit the Realm Royale website to sign up for the PS4 closed beta. If you’re looking to sign up for the Realm Royale closed beta on PS4, there are a few simple steps you’ll need to complete. It shouldn’t take you too long to complete the process, though we recommend signing up for the PS4 closed beta of Realm Royale as soon as possible in order to secure your spot. 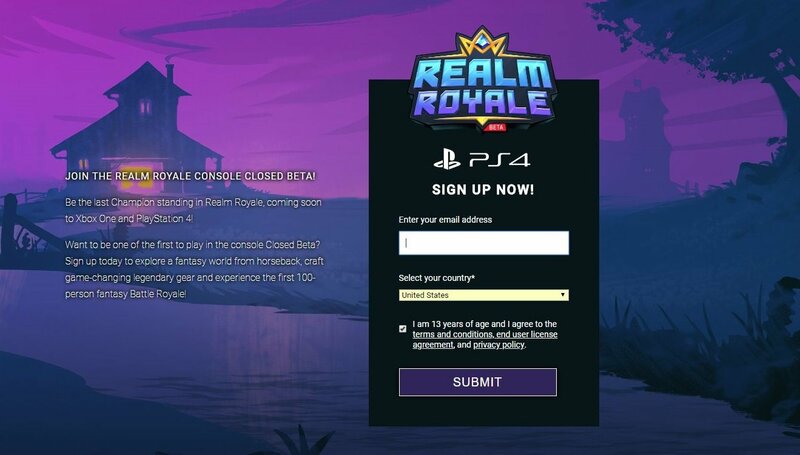 Visit the Realm Royale website and sign up for the beta by entering your email address and country. Hi-Rez notes they’ll invite users to the closed beta as soon as they can. Keep an eye on your email, as you could be one of 5 early access code recipients selected at random by Hi-Rez on day 1 of testing. 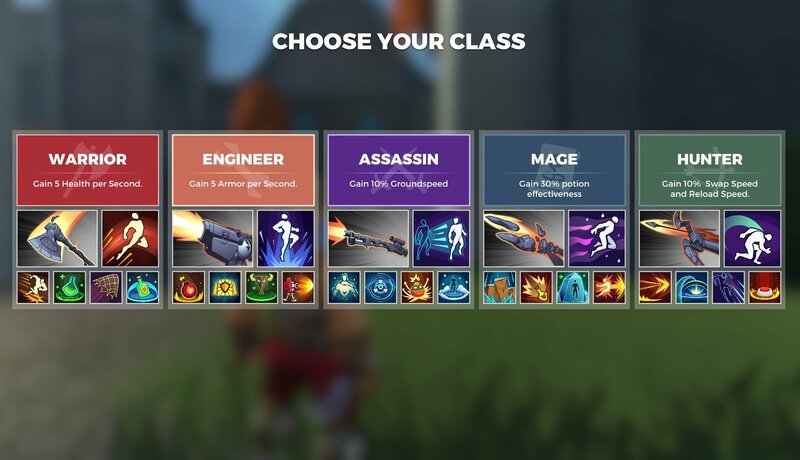 There are a variety of different class types to choose from in Realm Royale. Realm Royale differs from other battle royale titles in that it incorporates fantasy elements and ability-driven heroes. For example, Warriors can leap into battle, Assassins can hide behind smoke screens, Engineers can deploy turrets, Hunters use ranged bows, and Mages can rain fireballs down on their enemies. Players can hop onto horses to quickly traverse the map, and there’s no building in Realm Royale, lending to more direct combat. To experience Realm Royale for yourself, be sure to sign up for the PS4 closed beta using the information above, and check out some of our previous Realm Royale features including everything you need to know about Realm Royale (formerly known as Paladins: Battlegrounds). By reading through this guide, you should now know how to sign up for the PS4 closed beta of Realm Royale.